What’s up, everyone! Sam here to talk about the new trailer for ANNA! ANNA is about a beautiful female government assassin. No matter how cliché they seem to become, I am always down for a femme fatal film. I loved The Long Kiss Good Night (1996), Salt (2010), The Girl with a Dragon Tattoo (2011) and Red Sparrow (2018). From the looks of the action choreography, possibly the creators wanted ANNA to be a female John Wick. 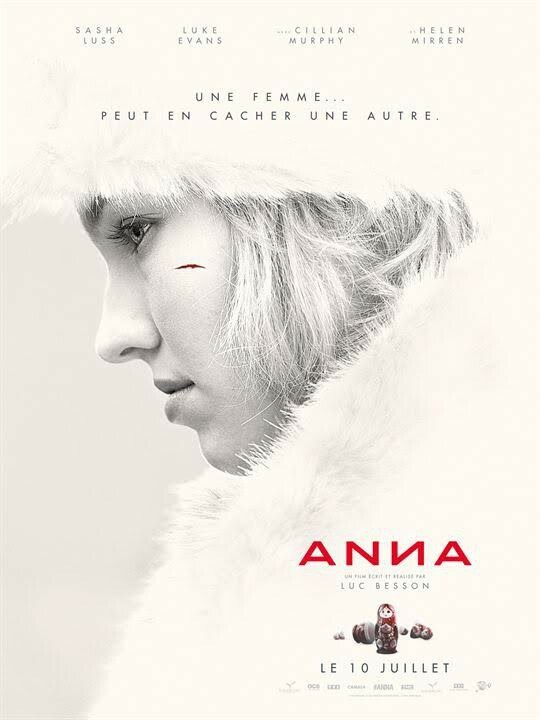 ANNA was directed and written by Luc Besson. The film stars Sasha Luss, Helen Mirren, Luke Evans, and Cillian Murphy. The release date for this film is June 21, 2019.